On this website, you will find stories about women’s college basketball and the professional basketball scene, gleaned from my travels to NCAA Division I and WNBA games. My goal is to provide women’s basketball fans with observations, in-depth reporting, and a historical perspective on the things going on in the women’s game today. You’ll also find stories about pioneering women for whom basketball has been a passionate pursuit and a significant part of their lives. Some of those stories are from my 2015 book, Finding a Way to Play, the Pioneering Spirit of Women in Basketball, while others come from more recent interviews. I am a former reporter for the Maine Sunday Telegram and now write for various publications, including Maine Women Magazine. I’ve won awards for my sports writing, feature writing, and investigative journalism. An essay I wrote about homophobia in women’s basketball was a finalist at the Tucson Festival of Books. My book also was a finalist in two categories for the INDIEFAB Books of the Year in 2015 and took second place in the nonfiction category in the Independent Publishers of New England contest in 2016. 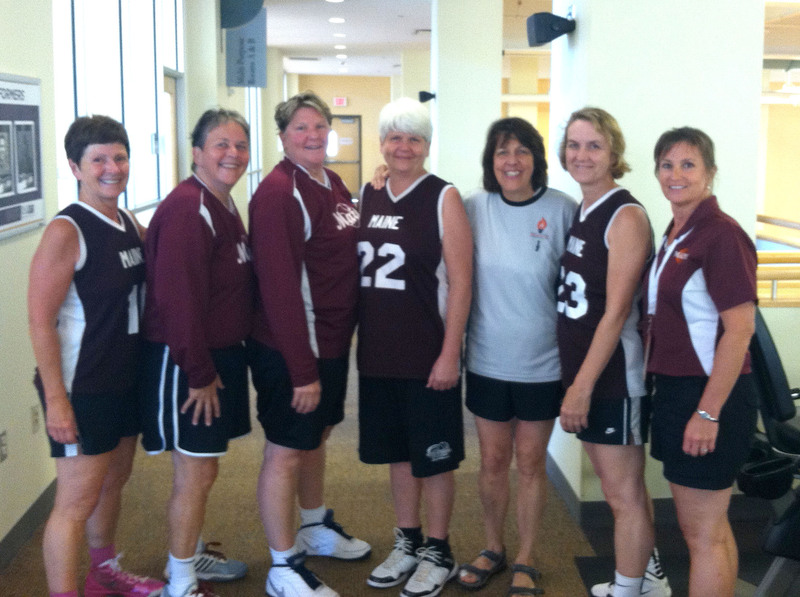 I also play basketball on an over-50 women’s team, pictured above, that won a national championship in 2009 at the National Senior Games in Palo Alto and a silver medal at the 2013 National Senior Games in Cleveland. If you see this comment, could you email me at jolannin@maine.rr.com. I would very much like to talk to you in the near future for my book. Thanks! Congratulations….. Hey Deb!!! Now I get the connection in Joanne’s book…. I want to read the book…. A friend of mine noticed it and alerted me …. very nice!! !